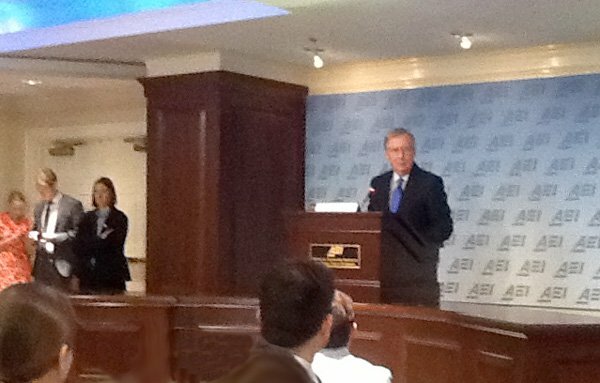 Mitch McConnell speaks at American Enterprise Institute Friday morning in Washington. Veuger goes on to say that in many of the key swing states, Obama only bested Romney by very thin margins, including only 75,000 votes in Florida. The painful quiet admission this scandal has forced the Adminstration to note is that these activists weren’t just a bunch of isolated cranks in the South hanging out after a high school football game – they were a political force to be reckoned with. But the unsaid additional reality is those flying Gadsden Flags at Tea Party rallies were the target of the unindictable benefactor of the IRS scandal – the Republican Party Establishment. 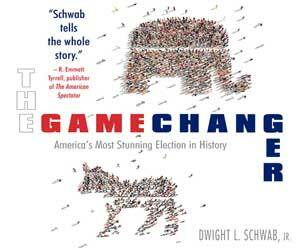 To understand how that could be, an examination of the 2010 midterm elections is in order. The GOP not only captured the US House of Representatives but also 700 state legislative seats around the country. Political observers note the effects of the election will be felt for decades to come, but did it come as a result from helpful party stalwarts at the Republican National Committee? Probably the biggest and most influential media organ of the Tea Party movement has to be World Net Daily, ranked by Alexa in the top 400 websites in the world. On April 9th of 2010, its editor and publisher Joseph Farah penned an editorial telling its readers where to put their money for the upcoming election. “The best scenario for this year is the following: The RNC goes broke, and Republican congressional candidates win major triumphs Nov. 2 anyway. Farah’s readers heeded his call and the RNC did go broke, such that the organization went into turmoil despite elevating John Boehner into a West Front Office in the Capitol. Establishment Republican fundraisng firms struggled and shortly thereafter Michael Steele, its chairman, was ousted. They did send the message that they – not Washington – was the reason for their political stock rising. Fast forward to last Friday’s American Enterprise Institute speech by Senate Republican Leader Mitch McConnell, about his reaction to what he did when that new political force was attacked by the machinery of government. So McConnell knew this at the beginning of the campaign year? What does he do? He sends a letter. Not even mentioned in the campaign. That’s really small comfort to Becky Garrettson of the Wetumpka, Alabama Tea party, who had her tax exemption delayed during election season. How many other letters are sent between officials in Washington? Sending a letter and then saying nothing seems to be a totally ineffective way to fight the “bully” that McConnell remarked on at the conclusion of his speech. McConnell was right to say, “waiting for a hand-signed memo from President Obama to Lois Lerner” was futile, because Obama’s appointees would need no such phone call to come after America’s most insurgent political grassroots force. The bigger fear for the GOP and its establishment is if some political directive of their own ever turns up telling their mouthpieces to lay low while IRS agents are trampling on the Tea Party. And that would make them more than the unindictable benefactor in this whole drama.